It is a great pleasure to announce that Blomming has received a considerable investment from Vertis Venture, a venture capital fund owned by Vertis SGR. This is one of the most relevant Early Stage investments made in Italy in recent times. In this page you will find more details about typology and value of Vertis investments. Following you will find the official press release. Naples, July 23th, 2012 – Blomming, a leading Social Commerce service that allows people and businesses to sell online, on their blogs/websites and on Facebook from a central platform, today announced it has received a considerable investment to accelerate its international growth and scale its product and marketing efforts worldwide. The Early Stage round has been made by Vertis Venture, venture capital fund owned by Vertis SGR, and is one of the most relevant investments of this kind made in Italy in recent times. In April, 2012 Blomming has also been selected as “Cool Vendor in E-Commerce 2012” by Gartner, Inc., world’s leading information technology research and advisory company. In the report Gartner underlines “Social site integration and multichannel E-Commerce” as two of the emerging E-Commerce trends in 2012, and these are precisely at the core of Blomming’s offering. Also, the report affirms that “By 2015, companies will generate 50% of Web sales via their social presence and mobile applications” (please see also the complete press release). The sales made on Social Media by the Shops powered by Blomming are already confirming this forecast. Renato Vannucci, Vertis SGR Board Member and Key Manager, said: “The strenghts of Blomming are its innovative platform, its high scalability and the team, that has high professional skills properly diversified and complementary. We are excited for this our ninth investment: we are now one of the most active Italian fund, and Blomming will surely be able to bring its leadership to a higher scale”. With more than 6,500 stores created in one year from the launch, of which more than 3,300 has also a Facebook Store, Blomming is the leading integrated solution for both Facebook Commerce, Social Commerce and “E-Commerce-As-A-Service”, giving people and businesses the opportunity to have a centrally managed professional e-commerce on their existing online points of presence such as Facebook, websites or blogs. “This investment gives to our startup, founded by Nicola Junior Vitto and Alberto D’Ottavi, the resources we need to further accelerate our international growth”, stated Matteo Cascinari, Blomming partner, angel investor and Chief Executive Officer. “We will now push on product and customer development, in order to expand our international reach. Vertis is a perfect partner, because we share ambitious growth targets”, he concludes. Vertis is an independent asset management company managing a 80 million euros capital via three private equity fund and one venture capital fund. The investment focuses on small and medium enterprises. Through these funds Vertis sustains the growth of companies in all stages of their lives, both in the initial start-up and in growth and maturity (expansion and buy-outs). Blomming means “E-Commerce made easy as blogging”. It is a system that allows everybody, individuals and small businesses, to sell on its own website, blog or Facebook Page, or directly on Blomming. The platform is centrally managed and optimized for user interaction in various Social environments. In this way, reaching millions of potential customers with few clicks is easy and fast, and it can be done worldwide thanks to multilingual support (English, Spanish and Italian). Blomming is the ideal tool for whoever wants to develop its sale business without huge investments in a proprietary system. 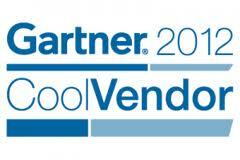 Cool Vendor in E-Commerce 2012 by Gartner, Inc., Apr. 2012. Top 25 Startup by Southern Europe TechTour, Nov. 2011. Blomming has been developed by Nicola Junior Vitto, Alberto D’Ottavi, Matteo Cascinari and Andrea Salicetti. Only 31 years old, Nicola has 10 years of experience in product strategy on web, finance and especially e-commerce. He worked for big international companies. Alberto is technology journalist, blogger, writer, teacher and consultant in digital innovation. In 2010 has been included in Edelman’s Top 1.000 Twitter Tech Influencers Worldwide. In 2011 Matteo Cascinari joined the company as major partner and CEO, bringing his business expertise as manager and CEO of big Italian and International companies and business angel. Andrea Salicetti is partner and senior developer. Logo, images, executive briefing and other documents can be dowloaded from this page.